Vecar Om Est part of an international group of companies with headquarters in Italy. Company "mother" Vecar SRL of Italy, was founded in 1985 as the exclusive distributor of OM Pimespo, gathering until today more than 25 years of business experience with forklifts. 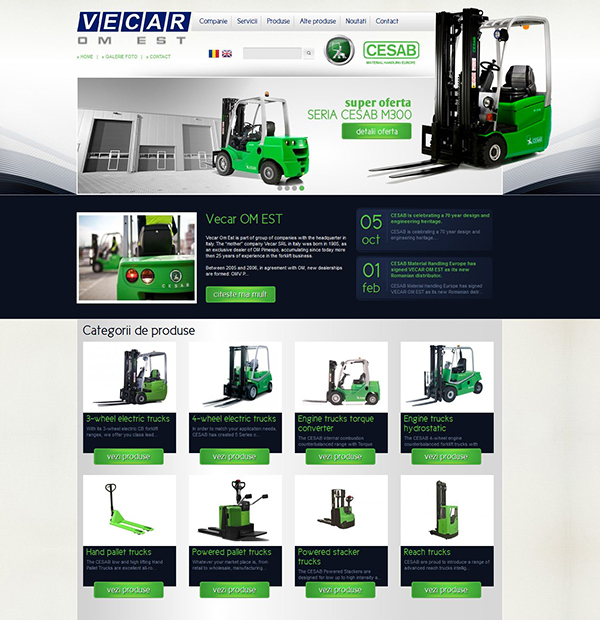 Vecar is the largest distributor of Cesab forklifts in Romania. Royalty contributed to improving the company's image in Romania by making an online presentation catalogue with professional design and SEO search engine optimisation.